People are very mindful of identity theft and credit card fraud when shopping online. So it is down to you to ensure that visitors feel as comfortable as possible when handing over their card details at your customer checkout. This means that the payment process should work seamlessly with the rest of your website and give your customers complete peace of mind that their payment details are secure. A favourable checkout experience owes much to the way that your secure payment gateway dovetails with the rest of your eCommerce site. Therefore it makes sense to choose a web design company that has a proven track record of providing eCommerce solutions. This is because an inexperienced eCommerce solution provider may not have the same insight into the complexities of the Payment Card Industry (PCI) protocols, which is so important in successfully integrating a secure payment gateway with your site. And this could be bad news for your business, as problems in the payment process could potentially cost you thousands in lost revenue, whether from failed payment transactions or loss of repeat business from customers put off by a poor and unprofessional checkout experience. One of the first things an eCommerce web designer will go through with you is the way in which you want your secure payment gateway to fit in with the rest of your eCommerce store. You can choose between the fully integrated option of an on-site payment gateway or a hosted gateway, where the customer is taken to third-party secure site to hand over their payment details. With an on-site payment gateway, you take the customer’s card details at your own site. Behind the scenes, the encrypted information is exchanged with the payment gateway provider over a secure Internet connection. The advantage of an on-site payment gateway is that, because you keep the user at your own site the whole of the time, you have complete control over the look and feel of the payment process. This allows you to keep all of your checkout pages consistent with the rest of your site, which makes for a much better user experience. However, by integrating a payment gateway directly into your own site you are required to implement much tighter security controls in order to comply with PCI guidelines. With a hosted payment gateway, you direct the customer away from your store and onto the payment gateway provider’s own site, which takes over the responsibility of taking the payment. The advantage of the hosted gateway model is that you pass more of the security burden onto the host, which means you don’t have to implement the same high level of security controls in order to comply with the PCI standards. The disadvantage of hosted payment gateways, notably those run by banks, is that they generally offer very limited scope for styling their pages. This means that you are unable to maintain the same professional consistency of appearance that you get with a fully integrated on-site gateway. PayPal is one of the most widely used hosted payment gateways. Your eCommerce solution provider should be able to help you come to a fully informed decision by explaining in detail the differences between the various secure payment gateways available and the ways in which you can implement them on your site. However, you should be aware that your options will be somewhat restricted if you want to use an off-the-shelf eCommerce package, as most forms of shopping cart software are only compatible with very specific payment gateways. For more advice you can also call Rapid Web Services on 01785 250222, who would be happy to answer your queries. Some consumers genuinely favour certain payment gateways over others and if you do not offer the secure payment method they prefer, you risk losing their custom to a competitor that does. 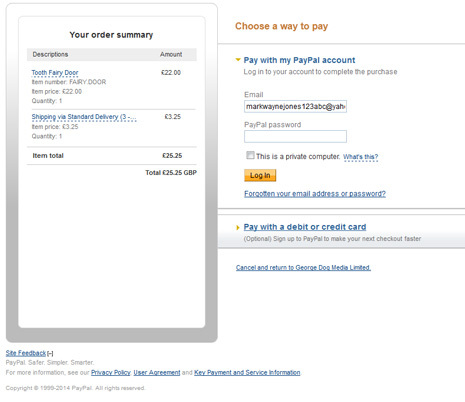 For example, shoppers who have money in a PayPal account will often look for a site that offers this payment method. However, more generally, a customer preference is simply a matter of brand trust or brand recognition. Therefore your system should ideally offer a choice of secure payment gateways. It’s also important to consider the increasing popularity of the Bitcoin currency, which can be accepted on your website through the BitPay payment gateway. However, if you’re only going to offer just the one payment gateway then SagePay is by far the best choice in the majority of circumstances. But if you’re still unsure about which secure payment gateway options are right for you then simply get in touch with Rapid Web Services on 01785 250222. An eCommerce web design solution from Rapid Web Services can handle any form of payment or authorisation method, from regular card payments for subscriptions to customer accounts.